Let learning be a joy and teaching a pleasure. More than four decades ago, the founding fathers of the Narsee Monjee Educational Trust set up the Jamnabai Narsee School in Vile Parle, Mumbai. 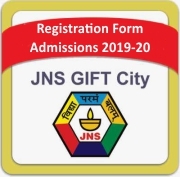 Today, a mighty institution stands in the heart of GIFT City, bearing the rich heritage of this school, in the form of JAMNABAI NARSEE SCHOOL, GIFT CITY, GANDHINAGAR. Our children today have inherited a world very different from the one that we were born into. 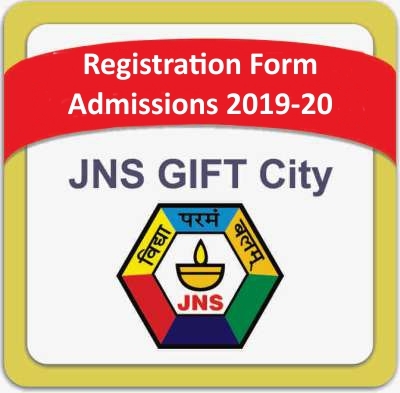 Therefore, terms like Teaching Curriculum and Pedagogy acquire new meaning in the present day context at the Jamnabai Narsee School, GIFT City. "Excellence through Endeavour" the mantra of our founding patrons, Shri Chatrabhujbhai Narsee, Shri Pratapbhai Narsee and Shri Dharamshibhai Narsee is inculcated in all our students to equip them to deal with real life challenges. The focus in the early years is to strengthen the foundational skills of the children beyond the 3Rs of reading, writing & arithmetic. 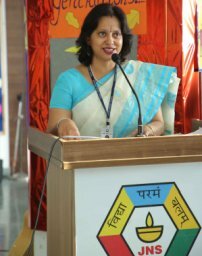 The endeavour is to replace rote learning with skills for life long learning. As Alvin Toffler has famously said "The illiterate of the 21st century are not those who cannot read & write but those who cannot learn, unlearn & relearn." While inculcating the best of our rich and varied cultural heritage is at the heart of our philosophy, the school also aims to develop a sense of discipline, a spirit of service, empathy and a shared responsibility towards our planet. A plethora of curricular, co-curricular and extra curricular activities form an integral part of the school programme. The state of the art infrastructure coupled with a dedicated and updated faculty ensures that students are ready for life beyond the classrooms. So let's join hands and empower our children to create a better world.